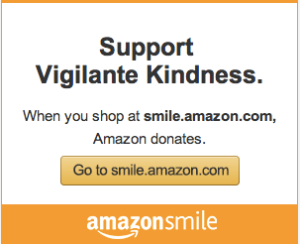 I thought when I returned home that this chapter of Vigilante Kindness would come to an end until I return to Uganda next summer. It started with an early morning message from my friend, Kristine, an educator in Uganda. It was the wee hours of the morning here and approaching afternoon there. Kristine was struggling to help one of her students keep his younger siblings fed and in school. Kristine had paid his tuition and arranged for food for the family. But they were struggling to pay the school fees for seven of his siblings in school. Kristine listed the name of each sibling, the name of each school and the remaining balances. All told, $120.00 was needed to pay the fees. It was a check I could have easily cut, but when I woke up later that morning, I was compelled to share the need with my friends and family. With a quick post on Facebook, I was off for the day. About thirty seconds after I posted it, my friends stepped up on behalf of this young man and his siblings. Within a day I had more than enough to cover the fees. It came from friends who shoved checks into my hand while I did bus duty after school. It came from the lean pocketbooks of fellow teachers. It came and it didn’t stop. Two gifts in particular struck me, both from former librarians. The first came with an apology. “I’m sorry it’s not more,” said my friend placing three dollars in my hand. “Every little bit helps. Three dollars goes a long way in Uganda,” I assured her. She gave her three dollars gladly and I thought about the widow’s mite. I thought about how haughty I am and how I always feel like my donations have to be substantial to matter. It’s such bologna, this lie that we have to give a sizable amount or not at all. I tucked her three dollars into my purse, grateful for each one and for the lesson they taught me. The second gift was from another former librarian at my school. She’s moved on to being the librarian at a local high school, but when she was the librarian at my school I loved when she read to my class, particularly when she read interesting versions of fairy tales. The Three Little Wolves and the Big Bad Pig and so on and so forth. The more unusual the fairy tale, the more I loved it. “It was my birthday a month ago,” the librarian told me in my living room. “Thank you so much,” she and I both fought back tears. I couldn’t believe she would give her birthday money to help a family she’d never even met in a place she’d never been. Would I be so generous? I already knew the ugly answer. I wired the money over to Kristine, each wrinkled dollar, each scrawled check, each cent from a birthday wish reaching around the world. Just before I wired the money, I looked over the names of the children again, double and triple checking the amounts to make sure it was enough. It was. And then some. I don’t know how I missed it, but the second time I looked at the names, one of them reached out and grabbed me. I couldn’t help but smile when I realized that because of the Vigilante Kindness of my friends, twelve-year-old Anena Cinderella would get to finish fifth grade halfway across the world. I shook my head in disbelief that once again I got to play a small part in what can only call the sweetest of all Cinderella stories. If you’re just joining the story of A Gift from Oregon, you can read Part 1 here and Part 2 here. My stomach was a ball of nerves, like one of those giant office supply rubberband balls snapping and bouncing between my ribcage. The ride to Bungatira took me way outside of Gulu, past several villages each boasting a small roadside store or two. Boda drivers waiting to carry fares sat parked along the road and clustered on the corners. Mothers and children sat selling the riches of their gardens and the children called out, “Munu! Munu!” I waved and smiled at their innocence, but the rubberband ball in my gut continued to ping-pong off my insides. Denis was his usual chatty self, but I couldn’t help but remember my last visit to Bungatira. The pain of seeing discrimination against people with mental illnesses inked so clearly on their community Constitution. The anguish of sitting beside my son during talk of child soldiers returning from war changed for the worse. The feeling of wanting to run away. The burning sensation in the very core of my being that made me stay and speak up for my loved ones. The community members who walked out of the meeting. The tears that fell in the red dirt when I spoke about my loved ones struggling with mental illness and the searing pain that they wouldn’t be welcomed in this group. The heartfelt apologies for causing me pain. And finally the blissful relief of seeing those discriminatory words removed from the community Constitution. This time I returned with a purse full of shillings for the Bungatira community group. 640,000 shillings from my friend Jenna who had been so moved by their willingness to change that she bequeathed $250 raised by her Oregon Vigilantes of Kindness to the group in Bungatira. The money would go towards helping them start a savings and loan program, wherein group members could borrow reasonable amounts and pay them back with interest. The people of Bungatira would now be able to take out loans to pay their child’s school fees. Inside my purse beside my fat stack of shillings was my iPad. On it I had pictures of my loved ones who struggle with mental illness and pictures of Jenna and her loved ones as well. I’d go and share our stories, share that we too are mothers and wives battling on our knees alongside our loved ones. Donald M. Murray, one of my favorite writers and writing teachers, once said, “The more personal I am, the more universal I become.” As Denis steered us closer to Bungatira, I prayed that would be true. I prayed that in sharing the stories of my life and explaining what compelled Jenna to choose Bungatira to receive the money from Oregon, the people of Bungatira would see the very personal side of the universal issue of living with and loving people living with mental illnesses. I didn’t want to be another white person advising them on what I think is best for their community. I wanted to be Lanyero Alicia, a woman and a friend who has walked some of the same paths they’re walking and has come out scarred, but stronger for having chosen to love when it was painful and to fight for my loved ones when they couldn’t fight for themselves. But, Lord have mercy, that was a tall order and the closer we got to Bungatira, the more it felt like I wasn’t up to size. The sky turned from blue to pallid gray, the perfect match to my unease. We first stopped at Denis’ brother’s store in Bungatira where a local women’s dance troupe were preparing to perform underneath a mango tree behind the store. Denis had asked them there in my honor and these women were stunning, absolutely stunning. They were dressed in every color of the rainbow with bells tied around their ankles. Two men brought out drums and these beautiful women sang and danced with such strength that my heartbeat began to keep time with their songs. I’m told they didn’t sing a prayer for rain, but the rain came nonetheless and the women kept on dancing. I couldn’t snap photos quickly enough. I marveled at their feet, so tough from everyday life, so exquisite as they danced in time together. The rain came down in sheets and we moved underneath the overhang in front of the store. The women kept dancing and singing, their voices rising over the rain, which drowned out the thumping ball of nerves in my belly. After the dancing, we ate cookies and drank soda with the women. When the rain let up, it was time to complete the journey to Bungatira. On the back of Denis’ motorcycle, I took deep breaths and listened to the greenery thwapping against my skirt as the road grew narrower. Upon reaching Denis’ compound, the community group gathered and I sat in a plastic chair with the officers of the group. Denis’ brother, Michael, sat beside me ready to translate. They opened the meeting with a prayer and after a few short words, I had the floor. Gulp. I looked into their eyes and they into mine. With a final deep breath, I began to speak, first thanking them for inviting me back and then the time came to share my story of loving people with mental illnesses. I willed the lump in my throat back down as I spoke and barely contained tears as I spoke of a particular loved one living a happy and healthy life with bi-polar disorder. Michael translated that my loved one is now happy and healthy and the group gathered on papyrus mats at my feet broke into applause. I smiled and showed photos and then told Jenna’s story of loving someone through post traumatic stress disorder. They clapped and cheered when I told them that fatherhood is helping this particular person heal from PTSD. They clapped and cheered like our loved ones were their loved ones. The ball of rubberbands in my stomach settled as my heart filled. I explained that because they’d changed their constitution to include people struggling with mental illness, Jenna and the Oregon Vigilantes had sent me with money for their savings and loan program. I presented all 640, 000 shillings to the Treasurer and again, the people of Bungatira broke into applause. Denis spoke kind words over me and I deflected them, insisting that the money was because of the changes they’d made not because of anything I’d done. Denis introduced me to a man and his daughter. The man is a single father and his daughter had epilepsy and autism. Denis explained to me that when the father heard the group was accepting people with mental illnesses, he and his daughter had joined immediately. Denis’ words were like a punch in the gut. For them, the term “mental illness” also encompasses mental disabilities. Oh God. I found myself struggling for breath. I thought of all the kids with special needs who I’ve fought to include in my classroom, all the meetings where I’ve gone toe to toe to fight for their rights. To find the fight here in the African bush had knocked me off kilter. I looked at the man and his daughter sitting so proudly as official dues paying members. Equals with equal buy-in and equal power. “I’m so glad you’re both here. It’s a pleasure to meet you.” I met the father’s eyes. Michael leaned in and explained to me that since the man and his daughter had joined the group, the people of Bungatira had met to see how they can help him raise his daughter and keep her safe. The women are teaching the girl to cook and the men of the community are acting as her extremely protective big brothers. They have surrounded the man and his daughter and enfolded them into their own families. After a day of holding back tears, I let them fall freely. I cried for the beauty of it all and for the fact that I got to play a small part in this story. I stayed in Bungatira until nightfall when Denis’ family sits nightly around the bonfire and roasts maize. The bonfire is where they gather as a family and address any concerns. It’s a sacred time and as one of the children crawled into my lap, I knew how fortunate I was to be included. I sat in their inner circle and listened, gazing up at the sky which had cleared and given way to millions of blinking stars. On the boda ride back to town, I felt a particular sadness leaving Bungatira and her people. I held their faces in my mind and closed my eyes to the wind on my face. Denis told me several times during my trip that I was changing the world, but leaving Bungatira for the last time, I knew that I was the one who was forever changed. Hi, guys. I’m re-posting this with the slideshow that served as the finished product to this writing workshop. It was really interesting to see which beliefs the student writers chose for the slideshow and equally interesting to see which ones they didn’t choose. The finished product is about eight minutes long and leaves me teary-eyed each time I watch it. I’m so proud of these kids and am honored to call them mine. Storms and power outages here have been intermittently casting the evenings into quiet darkness. Malaria is fever has struck several people I know and ringworm is leaving its itching, festering mark on the faces of the kids I love. Life is hard here and I know I’m only scratching the surface. One of the student writers summed up the last couple of days perfectly when he said, “Life is demanding in terms of keeping good health.” It is so very demanding and I’m on my face grateful for my own health. Maybe you or a loved one are facing the demanding battle of fighting for the precious gift of health. Maybe you feel a bit in the darkness as of late. Maybe your spirit is feeling impoverished. I know mine has been as of late. Last night as lightning and thunder struck simultaneously in the sky above me, I sat under the light of my flashlight reading the beliefs my students had penned. I was reminded that hope rises above darkness. Hope rises above disease. Hope rises above poverty. Hope rises. Period. Need proof? Here are just some of the beliefs they wrote that are striking all kinds of chords with me. I believe God is our breath. I believe with God we can do better. I believe God is my best friend. I believe in God’s mercy. I believe God can do wonders in our lives. I believe God gives us unique gifts. I believe in the miracles of God. I believe God can feel my heart. I believe God is always present in me. I believe a friend who encourages is a friend of great value. I believe friendship without trust is nothing. I believe friendship is a choice. I believe friendship is magical. I believe education is boldness. I believe education needs one heart. I believe education is a way to tour the whole world. I believe education gives us hope in the future. I believe education can eradicate poverty. I believe education can stop violence in homes. I believe in education as a solution to ignorance. I believe education builds up the family. I believe education is for everyone. I believe education is the best gift my parents can offer me. I believe love never hates. I believe without love, I am nothing. I believe love is what you show. I believe love is life. I believe love makes us stay in peace. I believe if you have love, you won’t kill. I believe love does not rejoice in bad acts. I believe love is giving confidence to the broken-hearted. I believe love always forgives. I believe love does not hide anything. I believe love is holy. I believe with love we can transform this world. I believe life deserves respect. I believe life has no spare parts. I believe life is given by God. I believe life without the soul is impossible. I believe life is full of adventures. I believe life is putting others first before yourself. I believe life means giving comfort to one another. I believe life has no price. I believe everyone has the right to have life. I believe in my mother. I believe a family is someone who protects you. I believe I have a future. I believe I am a blessing. I believe I can change the world. Your turn. What do you believe? With only a couple of days left in Gulu, I was struggling to find a worthy use for a last-minute Vigilante contribution I’d picked up at Western Union. I didn’t have time for a big project like tracking down more shoes. My other problem was that I didn’t know of any other needs that could be met immediately. I was at a loss. That morning I found myself praying a familiar prayer. God, what do you want me to do today? Help me not to plant tomatoes for hippos. Tell me what to do with this money and I’ll do it. The longer I’d been in Uganda, the more to the point my prayers had become and the sloughing off of any formalities when I talked to God was something I hoped to hold tight to when I returned home. Out at the school that day, I overheard one of the teachers talking about a field trip the Senior 4 and Senior 6 kids would be taking to Murchison Falls during the upcoming third term. I’d visited Murchison Falls last year and it was staggeringly powerful-the beauty and pounding force of the water rushing into the Nile is something I’ll remember my entire life. I overheard the teacher saying that many of the kids wouldn’t be able to go on the field trip because they couldn’t afford the trip across the country to visit the falls. Many of the kids haven’t ever been more than ten miles away from home. To visit something across the country would be an incredible luxury. It’s the third term now and the kids haven’t taken the trip yet. I wait with anticipation to hear about them hiking to the top of the falls and feeling the mist kiss their faces. I wait to hear about what animals they saw and how it felt to hear the thunder of the Nile passing through the waterfall. Sitting in my living room, across the great wide world from these children I love so dearly, I hope that Murchison Falls will water their desire to travel more, to meet people who are vastly different from themselves, to find family in unexpected places and perhaps even to know the profound blessing of being able to call another country home.